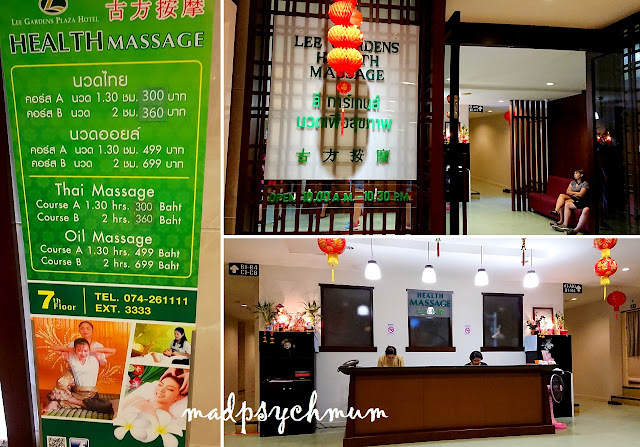 We basically did whatever we did on first few days where we shopped, ate and did our massages (read more details on what we did on Day 1 and 2 as well as Day 3 and 4). Centara Roti Corner has the best teh tarik in the area but it's not cheap! I had my teh everyday nonetheless because I can't do without my tea every morning! I'm really going to miss the massages here!! Cheap and good!! For our final dinner in Hat Yai, we had a big seafood feast at The Nest restaurant, the same seafood restaurant that we ate at two nights ago. We decided to order freshwater giant prawns, which are so expensive in Singapore! This was actually our dish we ordered yesterday (that's why it looks different than the dish below). We loved it so much that we ordered it again today! Yummy and juicy giant prawns! It was our most expensive meal of the trip but so worth it! Definitely recommended for the seafood lover! It was finally time for us to head back to Singapore and reality. We booked a mini van taxi from our hotel (at the lobby) for 800 baht. The first thing we did on arrival is to complete the goods inspection in order to get our VAT Refund. Don't forget to do this BEFORE immigration. After we got our documents stamped, we proceeded through the only gate for international departures (it's a small airport). Our flight back to Singapore was supposed to be at 2.40pm but because it was a small airport, everyone had arrived and boarded the plane by 2pm. The plane then departed from the airport earlier than expected! All in all, it was an awesome trip! We had a good time and didn't even need to spend a lot of money doing so. Food, massages, and shopping were affordable and definitely much cheaper than Bangkok. Most of the people in Hat Yai can speak simple English, Mandarin or Malay (because it's located so close to Malaysia) so you'll have no problems with communication.